This Kephart Classic model is outfitted with a black finished spear point blade and a natural micarta handle. 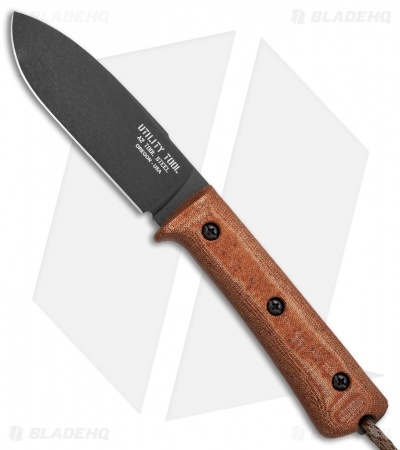 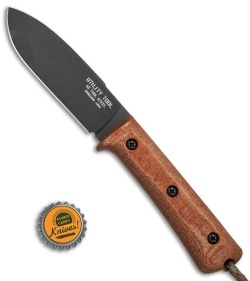 The Kephart Classic from Utility Tool Knives is based on the tried and true wilderness knife design from Horace Kephart. This simple yet highly functional design has been used since the early 20th century when Kephart set out to build the ultimate camping and woodcraft knife. 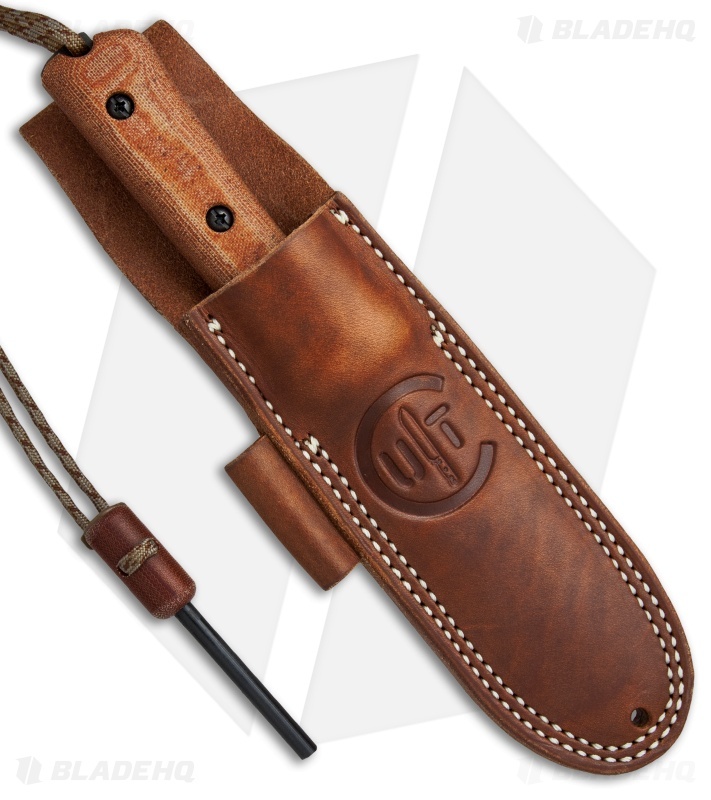 Utility tool has updated this proven design with modern materials and knife-making techniques. 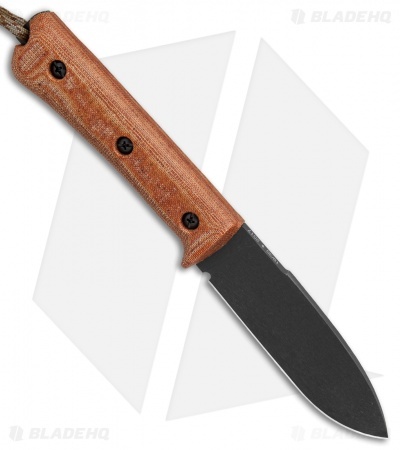 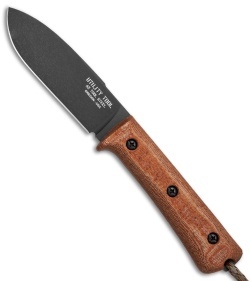 This version features a spear point blade made from A2 tool steel and a natural micarta handle. Item includes an ambidextrous leather sheath and a bonus fire starting tool.